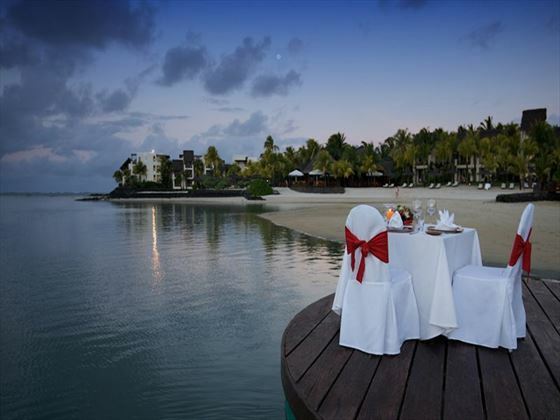 World-renowned luxury five star resort in Mauritius, Le Touessrok is one of the world’s great romantic resorts. It is the essence of cool, modern elegance with the cultural warmth of Mauritius. Newly renovated, the popular Le Touessrok Resort & Spa has re-opened as Shangri-La’s Le Touessrok Resort & Spa offering a luxurious holiday experience in Mauritius. Surrounded by stunning natural beauty, the resort prides itself on offering world-class service and top quality facilities. A wedding at Le Touessrok is an exquisite experience, creating the memory of a lifetime. Romance is everywhere. All rooms are charming, relaxed and spacious. 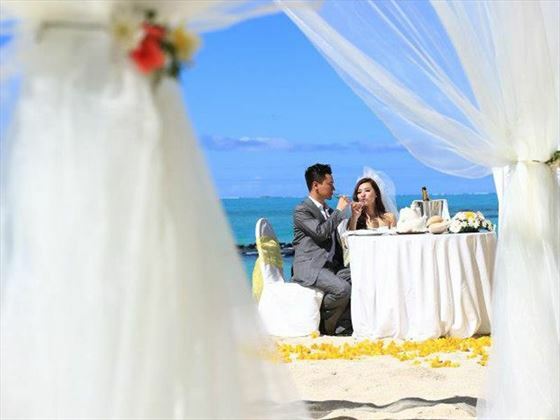 Suggested venues for the wedding ceremony include the Hibiscus Beach, Hibiscus Garden, Frangipani Beach, Frangipani Lawn, Coral Beach, on one of the hotel beaches and Ilot Mangénie - on the beach. Enjoy the sumptuous shores and the unique atmosphere of Ilot Mangénie for an unforgettable wedding! Ilot Mangénie is the ideal place to host your wedding ceremony & dinner on this piece of dreamland; Getting married on Ilot Mangénie is an exceptional experience in an idyllic and carefree setting. The resort private island retreat is only a 10 minute boat ride from the resort. (supplements may apply for a wedding on Ilot Mangénie). **All couples are now required to provide birth certificates which have been re-issued and dated within 3 months of the wedding date. These newly issued birth certificates should be scanned through or posted to the Tropical Sky Wedding Department approximately 12 weeks (and no later than 5 weeks) in advance of the wedding date. New UK birth certificates can be ordered online at:- www.gov.uk/order-copy-birth-death-marriage-certificate The current charge for this is £9.25 per certificate. Please do not order too early as the date of issue must be no earlier than 3 months prior to the wedding date. If you have been divorced, the original of your decree absolute. If you have been widowed, the original of your partner's death certificate. If you have changed your name, the original deed poll proof of name change deed will be required. Please note that if you have been divorced and have reverted to using your maiden name then this counts as a change of name, and proof of that change will be required. The change of name deed must be issued either by the Court or a Notary Public that has a seal confirming the change and cannot be produced by a Solicitor. If you were adopted, the original and a certified copy of your adoption certificate. A widow or divorcee is not legally authorised to remarry less than 300 days following her husband’s death or after her divorce has been declared unless she undergoes a medical examination in the respective country which will ascertain that she is not pregnant. The medical report should reach us at least 30 days prior to the wedding date. Should the test be proved positive, the couple will not be able to exchange vows under any circumstances. 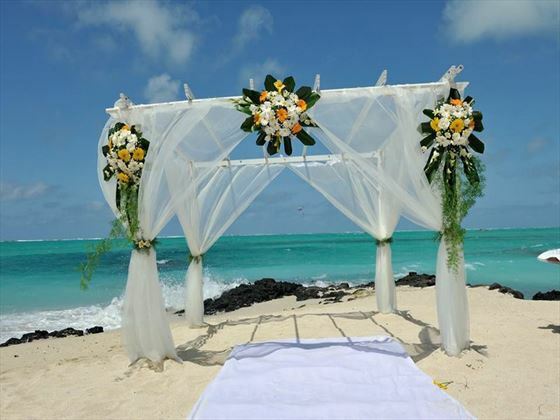 Guests marrying in Mauritius will need to send photocopies of the documents listed to us at least 12 weeks before the date of the wedding. You will be required to visit the Civil Status Office in Port Louis to complete the necessary legal formalities. 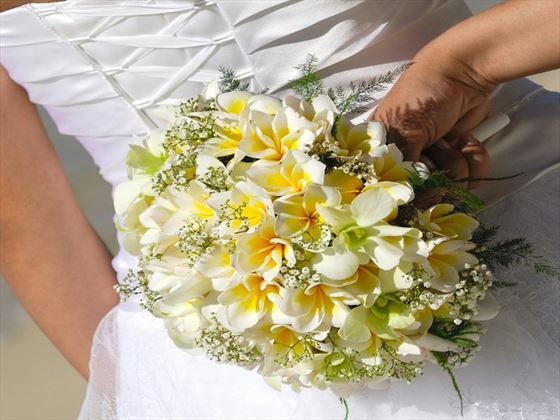 Extra documentation and extra charges may apply to non-UK citizens getting married in Mauritius. Please contact your Embassy or Consulate for further information. If your documents are not in English, they will need to be officially translated. Your wedding certificate will need to be apostilled in Mauritius (at additional cost), so that it can be internationally recognised. All legal documents must be in English or legally translated into English. All translated documents must be from a legal translator with letterhead, stamp and seal from the translator's office or notarised by a Notary Public. Occasionally the documentation will have to be sent to the Foreign and Commonwealth Office for their approval before being sent back to the notary to sign. In most destinations, your wedding ceremony will be conducted Monday to Friday (excluding local holidays). In some destinations, local festivals and holidays will determine available wedding dates. Generally, your wedding will take place in the grounds of the hotel unless otherwise specified. Many hotels offer wedding gazebos for extra privacy. Some hotels may offer more than one wedding per day with the first wedding taking place at around 10am with the last wedding at 4pm. The majority of our weddings are conducted by a marriage officer whose title varies depending on the resort. Where it is possible to be married by a Minister, the ceremony will be non-denominational unless otherwise stated and will be a Civil wedding. If couples do not fulfil these requirements they must advise us. Couples should be referred to the embassy of the country of origin and the country where they wish to marry as they may require extra documentation to satisfy their own embassy requirements – Tropical Sky cannot advise on this and couples must investigate this on their own. As Tropical Sky weddings have no jurisdiction over hotels/resorts/venues/legal requirements and their charges, we cannot be responsible for any increases or changes to these wedding arrangements. We will, however, endeavour to advise you of changes as soon as we are made aware of them. 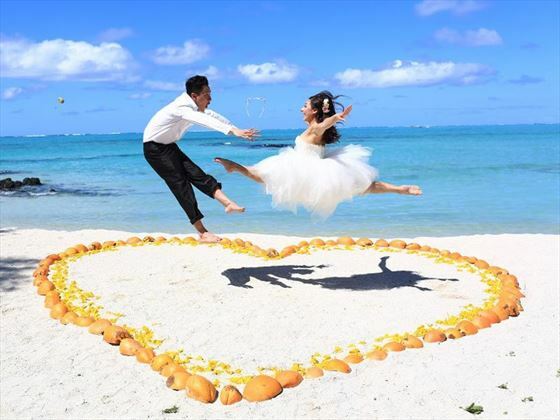 Why book your Mauritius Wedding with Tropical Sky?